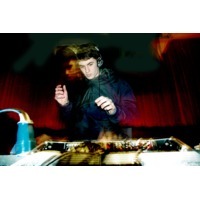 Skream (born Oliver Dene Jones in West Wickham, Bromley, London on 1 June 1986) is a dubstep producer based in Croydon. One of dubstep's first and most prominent producers, he has played an important role in the genre's development. His debut album Skream! was released in 2006, and was followed up by Outside the Box in 2010. Skream is also a member of the dubstep supergroup Magnetic Man, along with fellow producers Benga and Artwork. The group released their self-titled debut album on 11 October 2010. As a teenager, Jones worked at Big Apple Records, a Croydon-based record store that was at the centre of the early dubstep scene; even prior to this, Jones had become acquainted with Hatcha, another dubstep pioneer, because Jones' brother worked on an adjacent floor in Big Apple Records. As a result of this encounter, Hatcha was the first DJ to play Skream dubplates. Jones began producing music at the age of 15 (using FruityLoops) and claims to now have roughly 8000 songs in varying stages of development. Skream's early productions were often with another alumnus of Big Apple, Benga, and are of a decidedly darker and less melodic nature than later releases.